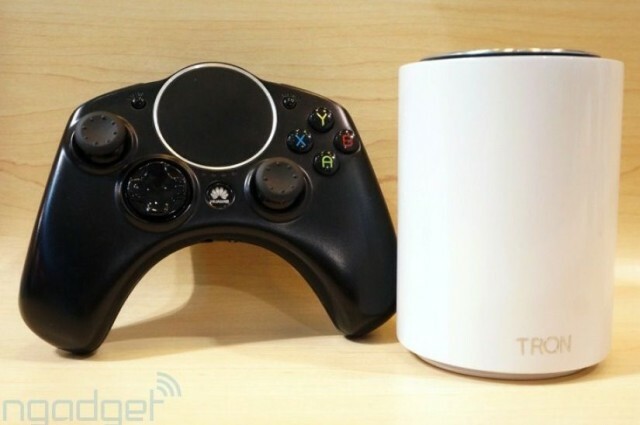 Android-powered video game consoles like the Ouya haven’t exactly been a huge success, but Chinese electronics maker Huawei is hoping to change that with Tron, a device that looks remarkably similar to Apple’s new Mac Pro — albeit a lot smaller. It’s powered by a quad-core NVIDIA Tegra 4 processor and 2GB of RAM, and it’s expected to cost less than $150. Also packed into that tiny little cylinder is 16GB or 32GB of storage (depending on which model you go for), a microSD card slot, USB 3.0 and Ethernet connectors, and Wi-Fi a/b/g/n/ac connectivity. 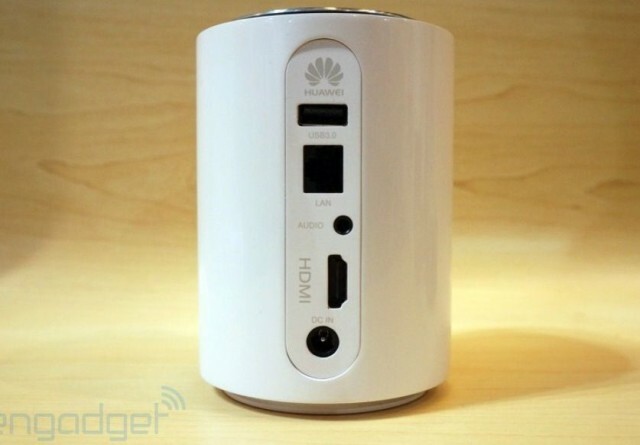 Tron is powered by a Android 4.2.3 Jelly Bean with a custom skin that provides users with quick and easy access to their games, Huawei’s store, and video content. Tron’s controller, which is connected wirelessly via Bluetooth, was clearly styled on the Xbox 360 controller. It offers a similar look and feel, and an almost identical button layout, with two analog sticks, a d-pad, four action buttons, and four shoulder triggers. There’s also a giant touchpad right in the center, and a headphone jack on the bottom edge. Tron is expected to cost under $150 and will be exclusive to China initially, but a Huawei representative told Engadget at CES this week that the company was looking into “further market expansion.” Not many of Huawei’s products go global, though, so I wouldn’t get your hopes up for a U.S. launch until it’s actually confirmed — especially if Android-powered consoles continue to flop in 2014.